Being one half of a BFF heart necklace is serious business-and in the Picture Perfect series, each story tackles a tough friendship challenge. Through the ups and downs of life in middle school, through braces and boy bands, family feuds and fashion disasters, your best bud is there. But what happens when friendship suddenly gets complicated? Tween readers will adore these sweet, accessible stories about the power of friendship. 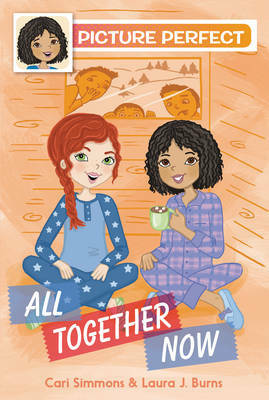 Gracie Hardwick has always wondered what it would be like to have siblings-which is why she is so excited to go skiing with her best friend, Mari, and Mari's big, boisterous family. It is sure to be an amazing weekend spent riding the chairlift, building snowmen, and drinking hot chocolate with Mari and her brothers.